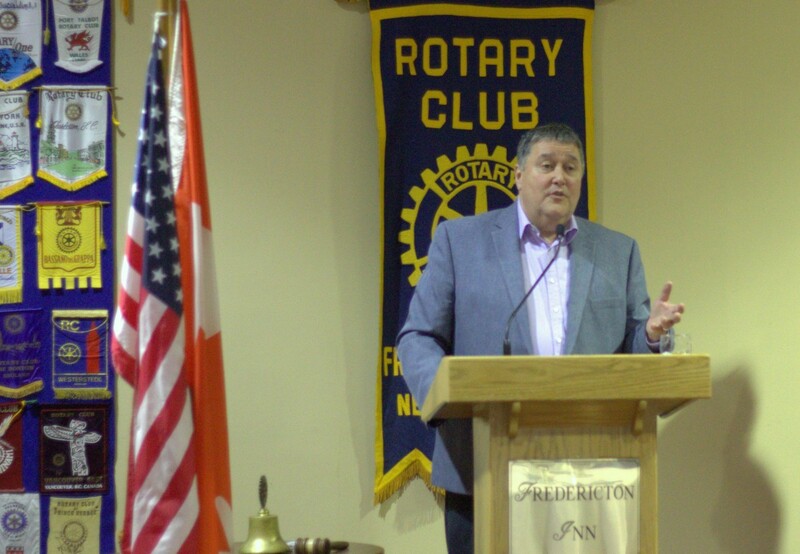 FREDERICTON, NB, February 1, 2018 – When the Fredericton North Rotary Club (FNR) read in the Daily Gleaner that the New Brunswick Association for Community Living (NBACL) was in immediate need of funding for its Family Support program, they took action and quickly arranged a $10,400 donation. 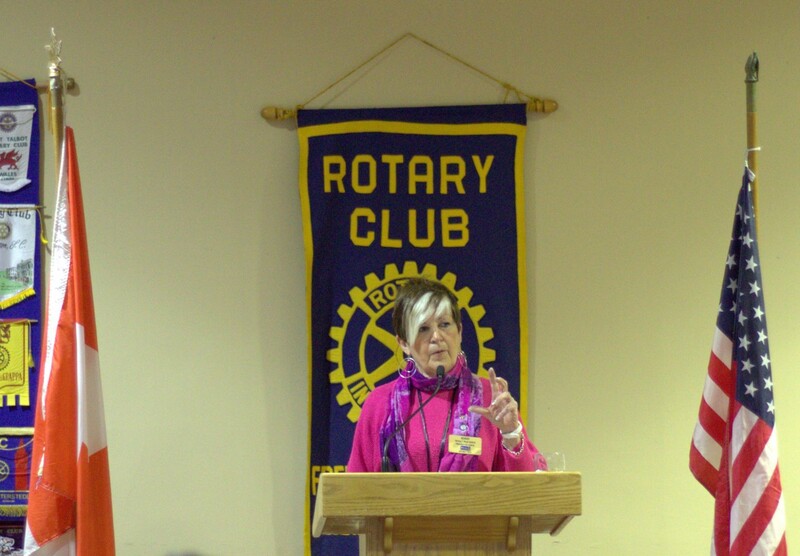 “Rotary’s mottos are ‘service above self,’ and ‘take action,’ and so we did!” said Bonny Hoyt-Hallett, president of FNR. NBACL launched its End Exclusion campaign on Monday, Jan. 22. While the aim of the campaign is to raise $3 million in unrestricted funds over a five-year period, Executive Director Danny Soucy put out an urgent call for immediate help for the association’s Family Support program. “This donation is very inspiring for NBACL,” said Danny Soucy as he accepted the cheque at the FNR’s weekly luncheon meeting. Considered the backbone of NBACL’s work, the Family Support program “works with families and individuals across the lifespan, through early childhood and school, the transition to adult life, and right on to helping to plan the fiscal well-being of a loved one with a disability when the parents are gone. “Without a $125,000 shot in the arm by the end of March, it is quite likely that we will not be able to support young mothers and fathers, struggling families, or aging parents at some of the most critical times in their lives,” he said. 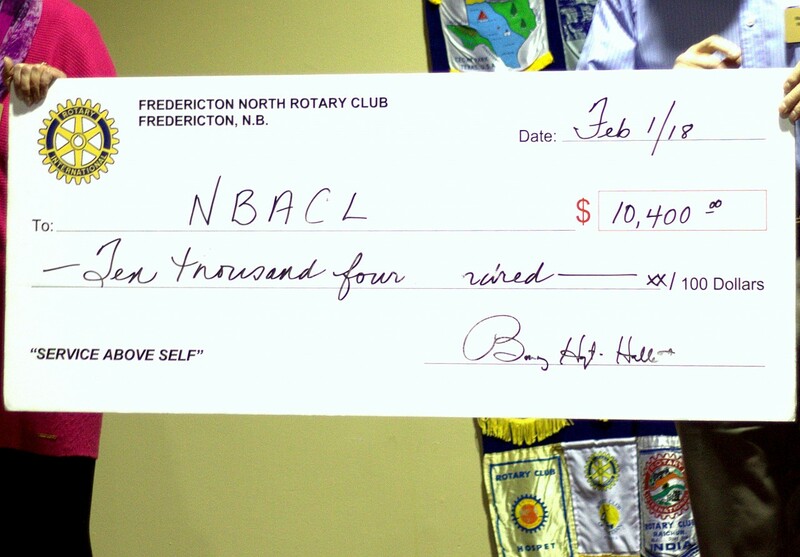 As she presented the cheque to Soucy, Bonny Hoyt-Hallett commented on the fact that NBACL is a provincial organization, with staff working out of regional offices in Saint John, Moncton, Bathurst, Miramichi, Edmundston and St. Stephen. For information on NBACL’s End Exclusion campaign, please call 506-453-4400, e-mail endexclusion@nbacl.nb.ca or visit nbacl.nb.ca.